Eileen Anna Catherine Carmody Nelson was born on February 21, 1920 to James T. and Josephine (Burkler) Carmody on the family farm four miles South and Â½ mile East of Oldham, South Dakota. She was the second of eleven children. Eileen taught country school near Manchester for four years until she was united in marriage to Martin Duane Nelson on April 11, 1942 at Oldham. They had seven sons: Martin (Laine), David, Richard, Duane, Jay, Joseph (Alicia) and John; two daughters: Marleen (Jim) Flannery and Bernadette. 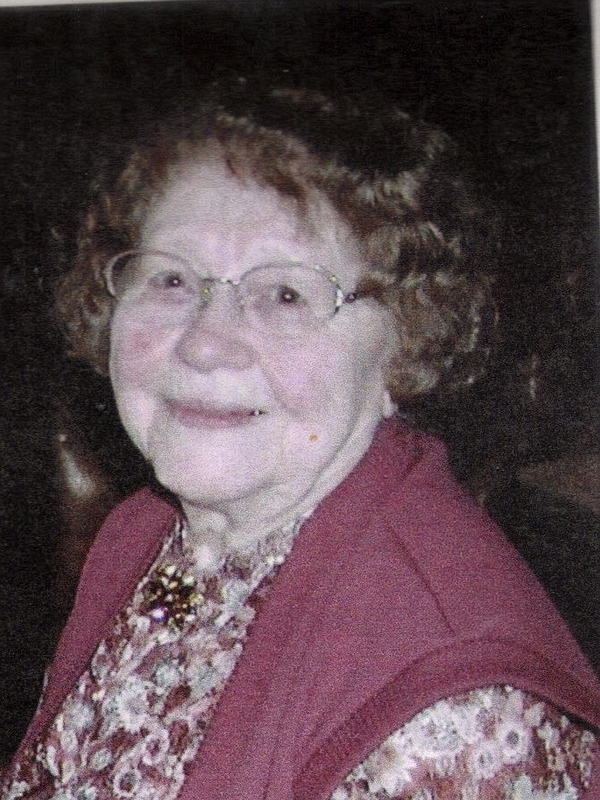 She was a full-time Wife and Mother and was very involved in her childrenâ€™s lives. Religion was very important to her and she never compromised her firm beliefs. Eileen is survived by her nine children, twenty grandchildren, twenty-four great-grandchildren and three sisters: Regina, Josephine and Dorothy. She was preceded in death by her husband on March 6, 1987; her parents; brothers: Vincent, Joseph and Raymond; and sisters: Cleo, Angeline, Agnes and Margaret. Please remember to pray for her soul and all of the souls of the faithfully departed and to live your lives according to Godâ€™s Will so that we may all be united again for Eternity. Visitation will be from 5-9 Sunday evening at the Nelson residence. Rosaries will be said at 6, 7 and 8 PM. A Private Funeral Mass and Burial will be held on Monday. J.M.J.